Dance is the only creative act in which there is perfect oneness of the creator and his creation. Unlike a painting, a poem, an invention or any other artistic impulse, when the dance is over there is no product, no thing to save and enjoy. As with life, we may perceive the dance, never possess it. 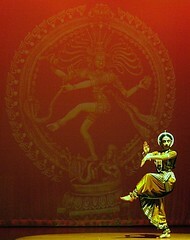 One cannot separate the dancer from dancing, just as one cannot separate God from the world or from ourselves.